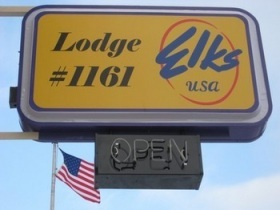 MINNESOTA'S ONLY ALL-AMERICAN LODGE in Elks history! 102 Years Strong in Serving Youth, Veterans, and the Local Communities! Bar Bingo on Mondays, Tuesday Night Burgers, and Friday Meals! Come join in for all that Elkdom at #1161 has to offer!